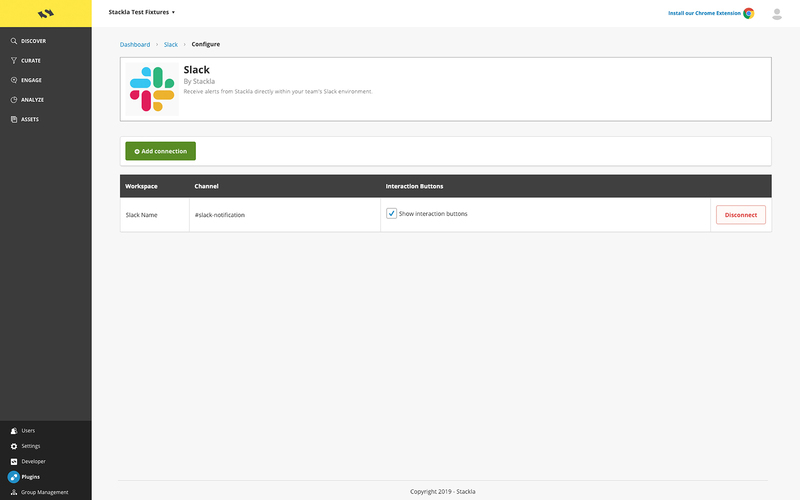 Alert yourself or your team whenever a content creator provides the Rights to a piece of User Generated Content.Stackla's Slack plugin provides real time notifications to your workplace Slack environment - even allowing you to configure which people or channels you wish to be alerted. 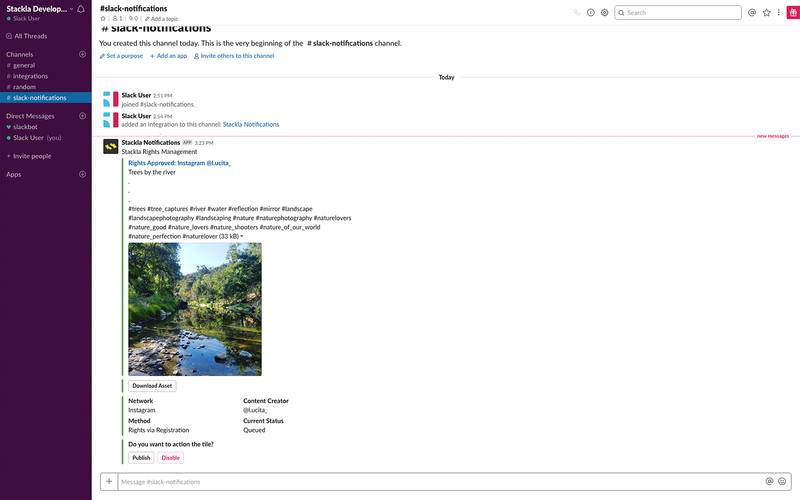 Alerts also allow the rights-approved content to be immediately published or downloaded, directly from within Slack. 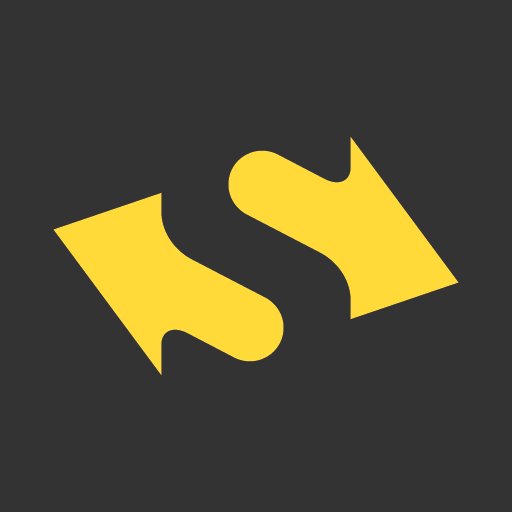 Stackla Notifications will be able to post to specific channels in Slack.